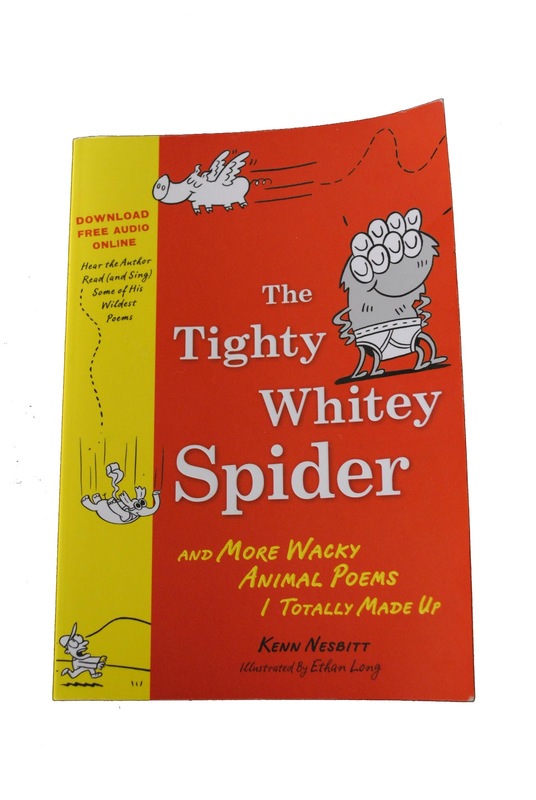 Full of zany animal poems that really don't make sense The Tighty Whitey Spider by Kenn Nesbitt will have kids rolling on the floor in hysterics. From the young to the not so young Kenn weaves a web of magic with his vast sense of humour and use of rhyme. My three year old sat engrossed as she demanded I read the full 97 pages of poems in one sitting. The black and white comical pictures add charm and character to the value to Kenn's poetry. We laughed, talked and we joined in with Kenn's silliness as each poem became more and more absurd. It is with this absurdity and silliness that The Tighty Whitey Spider appeals to children. The imagination of a child has no limits but has a deep passion for the different and impossible, Kenn has been able to zone in on this and produce poetry that tantalizes and tickles. The Tighty Whitey Spider is sure to instill a love for poetry and words in children and have, even those who find reading a challenge, wanting more. When the competition is on between The Tighty Whitey Spider and technology this book will never be forgotten . The kids will soon be logging onto the net and combining their need for an internet fix with the wonder of the book as they download free online audio. They will soon be dancing in the lounge room as they listen to Kenn sing ( and read) some of his wildest poems. These downloads stand alone or act as an audio to accompany the book. So if you want to read about Chickens on the internet, a triangular Kitten, a dancing Baboon, a Hippo sandwich, Beavers in the bathroom, Camel fights, skydiving Elephants or know what not to ask a Centipede then this is the book for you.